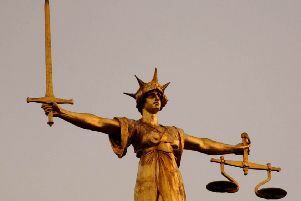 A young man has admitted killing his ‘irreplaceable’ mother in Crowborough in April this year. Thomas Fisher, 22, of no fixed abode, pleaded guilty to manslaughter at Lewes Crown Court this morning. Beloved by her family, Fiona Fisher was 51 when she was found dead at her home in Lordswell Lane at 7.20pm on April 20, police said. Officers had attended the property in response to a request for a welfare check. Today her son Thomas appeared at Lewes Crown Court and admitted killing her. He denied murder but pleaded guilty to manslaughter with diminished responsibility, a plea that was accepted by the prosecution. He also admitted using her credit card fraudulently and driving whilst disqualified. Wearing a dark grey jumper in the dock, Fisher spoke only to confirm his name, plea and that he understood what was happening. Prosecutor Matthew Jewell said that the plea to manslaughter – rather than the original murder charge – was ‘acceptable’ to the Crown Prosecution Service in this case. He told the court that the four questions for a plea of diminished responsibility had been answered to the satisfaction of two psychiatrists. He added: “[There was a] journal or diary that was being kept by this defendant at the time of this offence. In a statement released by Sussex Police in April, a family spokesman said: “Fiona will be sadly missed by her daughter Megan, her mother Dorothy and stepfather Les, as well as her father. “There are no words to explain the love those around her felt for her, she is irreplaceable. Judge Christine Laing QC confirmed that the court accepted the plea of manslaughter. The case was adjourned to allow for a psychiatric report to take place. Fisher will be sentenced at a later date.